House Finch males (Capodacus mexicanus), usually colored in rosy hues, also come in a yellow variant. I managed to catch one today at the BirdCam station. This looks like a young, first fall male just starting to get his colors. A portal opens in the fog to reveal a midwinter sunrise over Skagit Bay. The scene evokes a passageway through time from science fiction fare. 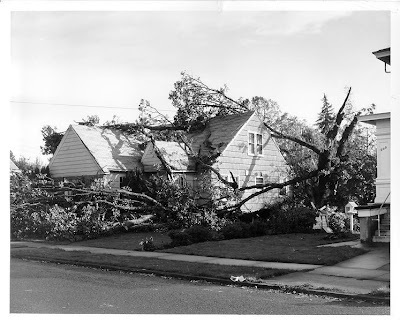 In fact, the camera really is a time machine that allows us to view scenes from the past. 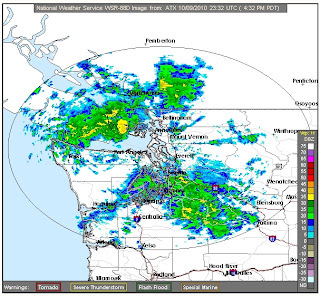 KIRO-TV in Seattle is reporting that dual polarization doppler radar is coming to Washington. 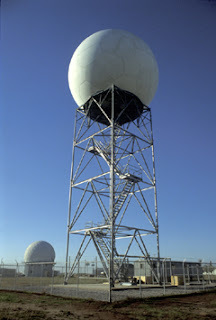 The Camano Island weather radar shown on this blog will be upgraded in July, 2011. Portland, Spokane and Pendleton will follow and a new coastal radar in the Grays Harbor area will be installed in September. Among other benefits, this missing piece in the radar network will visualize the segment of the Washington coast blocked by the Olympic Mountains. Current weather radar scans with horizontal waves and reads the density of echoes in that single dimension. The new system "sees" with horizontal and vertical radar waves and can distinguish different types of precipitation, rain, hail, etc. The only dual polarization system currently operating is at the Radar Operations Center in Norman, Oklahoma. Washington will be the first state upgraded, with the new system going nationwide within 18 months. This week we pan a bit to the left to watch the sunrise over Kiket Island in Skagit Bay. The spotted pattern of the clouds initially caught my eye. I continued to watch for the next forty minutes. The fall and winter sunrises here fascinate me, so I will probably bore everyone to death with them. On Columbus Day, 1962 John Kennedy was in his 1000-day presidency. Mercury astronauts Glenn, Carpenter and Schirra had achieved orbital spaceflight and the Beetles had debuted on BBC Radio. I was sixteen years old and what a wonderful time it was. It was called Camelot. The Olympic Rain Shadow has been discussed here as an influence on local climate. A major rain event, as we are having today, provides an opportunity to illustrate the phenomenon. The Olympic Mountain Range lies southwest of the city of Port Angeles. The radar cannot penetrate the mountains creating an empty wedge in the image. The radar echo also reveals the rain shadow. Rain systems typically move inland from southwest to northeast and are split by the mountains. Areas between Port Angeles and Bellingham, including the southern San Juans, Fidalgo and Whidbey Islands are in the shadow at the time of this image. When I captured the screen shot, I could actually see a large patch of blue sky over Whidbey Island. The following table lists approximate annual rainfall for area communities. Can you spot the ones inside the rain shadow? Over Skagit Bay, stratocumulus undulatus clouds reveal wavy air motions in the atmosphere. They can be a signal that rainy weather is on the way. Or rainy weather is letting up. Or both. Those who have followed this series may have noticed that all of the Skywatch photos here are the same scene shot from the same spot. The two islands in the center of the photo are Skagit in front and Hope behind it. The BirdCam is now set up in a new location. I have always had the feeders in the basement patio on the south side of the house. Here, I could watch the visitors from the basement. With shadows and glaring sun, however, the lighting is not the best for photography. The entry garden behind the house has always been actively visited by birds. They come to bathe and get a drink in the koi pond and trees and shrubs offer security. I have seen Cedar Waxwings, Goldfinches, Kinglets, Nuthatches, Wrens and Chickadees. It gets good lighting without shadows and glare, so this is the spot I have chosen for the BirdCam.